Managed by the Duveau family for several generations, the vineyard of Domaine de la Guilloterie today covers 50 hectares. 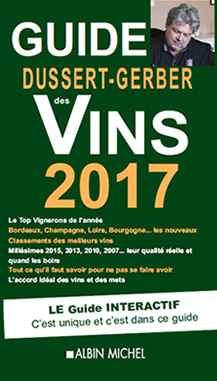 Set to the south of the Loire and on the banks of its tributary the Thouet, this area benefits from weather conditions that are particularly favourable to vine-growing. On this clay-limestone soil, the vine-varieties flourish, giving expressive, characterful, distinctive wines. 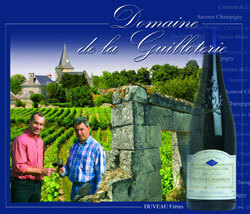 Domaine de la Guilloterie produces an excellent Saumur white, made exclusively with the Chenin variety. It is fresh, with highly distinctive, flattering aromas. The Saumur red is supple and very aromatic, with good body enabling a short ageing period. The Saumur Champigny is very harmonious and distinctive, with lasting aromas of red fruit - a complex, elegant wine. The Saumur Mousseux brut and the crémant de loire both have fine bubbles and are made according to traditional methods. They are most pleasant when drunk chilled.